This blog is now under construction by Hilary Hancock and Jayla Alexander. We will be updating frequently... At least every Monday. We express our sincerest apologies on behalf of the whole team for not updating lately. We've been extremely busy since we have arrived back in the United States. We just got back from Australia about two weeks ago now. 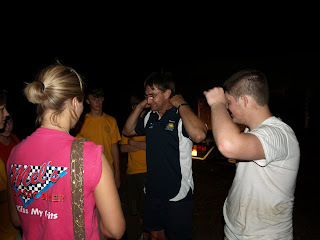 The trip and the race went over very well. We appreciate everyone's efforts and support to help us out in any way possible. At this time, we are entering our "renaissance" stage... We're moving towards improving our original car AND building a new car that will hold the title "Sundancer II". ...However, right now, our main focus is Sundancer II. Our original car is currently traveling in international waters on its way back from Australia! We cannot wait for its arrival so we can start improving! All the team members are tremendously excited about the new car and everything involved in progressing towards a superior outcome! 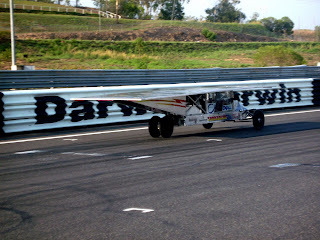 Here are some pictures from the race in Australia... Hope you enjoy! 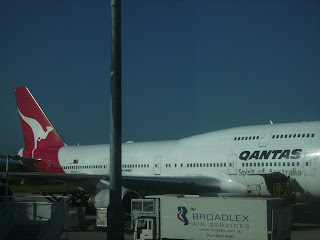 The team flew from L.A., over the Pacific Ocean, and to Brisbane by Qantas airlines. This particular flight was about fourteen hours long! 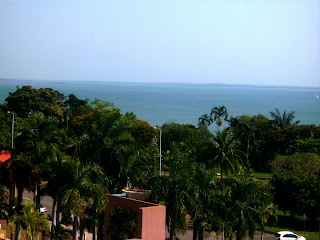 After arriving at our hotel in Darwin, we took a minute or two to check out the view from the balcony of our rooms. 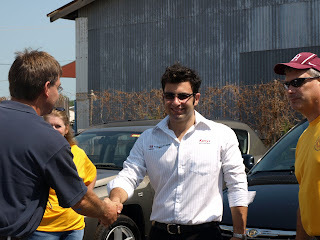 Kerry's Automotive Group (Chrysler) in Australia donated vehicles for our team to use throughout the race. *Special thanks to you for such a great contribution! This is our car out on a "practice run" on the Hidden Valley race track. 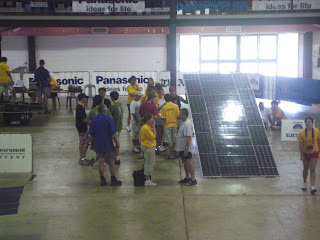 Our car at the electrical station at scrutineering. received an official Panasonic World Solar Challenge shirt as a present from his team. 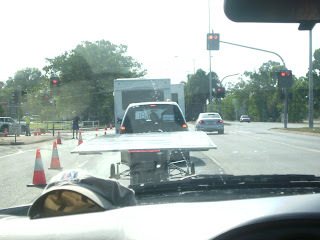 We were caught up by a red light leaving Darwin.